There’s been a pretty clear story for the past couple of years that the dynamics of smartphone interfaces drive unbundling of services. How does that shape maps, messaging and discovery? This post is simply a sequence of Google trends charts looking at search volume by cohort for 'Foursquare'. It's unscientific and needs to be taken with caution (you need to think carefully about exactly what consumer behaviour you're looking at). But it's interesting. First, global search. Stable, perhaps, but not growing, it seems. But what happens if we zoom into the USA? Suddenly the picture changes - a significant reduction in consumer interest. And the same in the UK. Switching to a trend line suggests that Fourquare is in fact off the boil in Indonesia but growing fast in Turkey. This chart (and the map above) is relative within each country, not across countries - 4SQ has a larger share of Turkish search than of US search, but Turkish search volume for 4SQ is not necessarily higher than in the USA. Google Trends does not let us compare volume directly across countries. But a search by platform is suggestive. Look what platform it shows as most popular for 4SQ - the one that dominated in Indonesia, not the USA. All of this leads to the question - where, exactly, are Foursquare's users? And what are they worth? Google Trend lets us see a decline in interest in the USA, and a rise in Turkey, but we can't really see where the overall interest lies. Where do maps come from? Google mounted the event below (by a strange co-incidence, a week or so before Apple went public with its own Maps project) to show just how much hard work goes into Google Maps, and followed up with an artfully placed piece in The Atlantic. 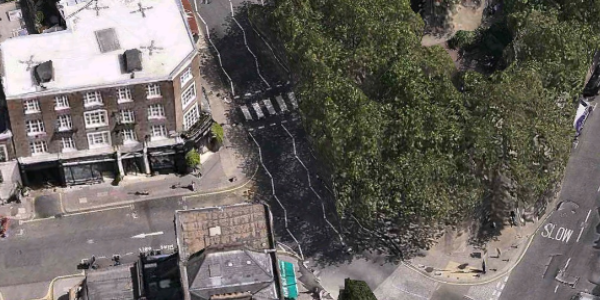 Many people seem to have forgotten now, but laughably bad results used to be a reliable part of the Google Maps experience, and still crop up from time to time. My favourite was earlier this year, when I searched for '42 Dean Street' while standing on Dean Street in London, and was given 'Deren Street', in a small town in rural Australia. Google Maps is a lot better than it used to be, but not anywhere near finished. Of course, no map can ever be finished, almost by definition. Moreover, though Google has indeed mapped most of the world itself, from scratch, there are maps and maps. The comparison below, between 'Google Maps' for major stations in Tokyo and New York, is intriguing. Why is the data so much richer in Tokyo? The answer, of course, is that this isn't all Google's data. Google has the roads and complete streetview photography and that's a great asset, but a meaningful part of that incredibly rich metadata is licensed from Zenrin (whose copyright appears in small text at the bottom of the browser). What exactly would Google's maps look like, without all of the third-party data that it buys in pretty much every country? 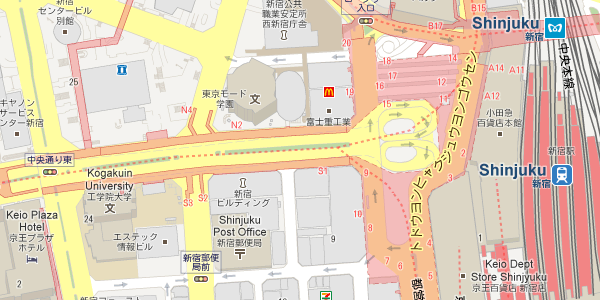 This, of course, begs the question of whether Apple can license the same: at the moment its maps for Tokyo are embarrassingly sparse. 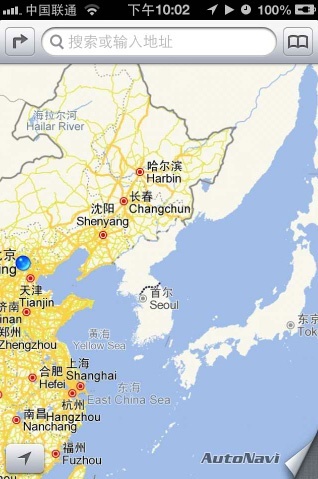 In contrast, the situation is China is... interesting. Apple is licensing data from AutoNavi for China, but this data is only available IN China. And the data it has for the rest of the world ISN'T available in China. So when you step off a plane in Beijing, suddenly your iPhone has access to fantastic maps for China and no-where else, but before you start the trip you can only see the basic data Apple has from other partners. This doesn't really matter to very many people, but it's not ideal. On the other hand there are real practical problems with POI data even where Apple HAS done the licensing deal. Apple is taking feeds from a variety of partners with wildly varying data standards, and the integration isn't smooth yet. The most visible teething problem is with Yelp. 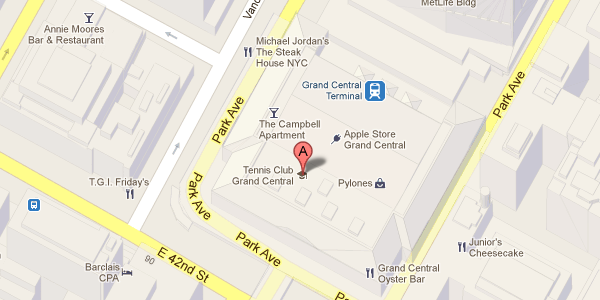 Apple is licensing POI data from Yelp, embedding reviews and listings onto the maps. However, Yelp's data is far weaker outside the USA, and Apple isn't even taking a live feed - there are both reviews and restaurants near my house in North London that are in Yelp but not in the iOS maps results. This is part of a broader execution problem in Apple Maps. In London, Underground stations, which are absolutely crucial, appear and disappear on a daily basis. This blog post goes into some detail as to some of the things that might be at issue (though it has perhaps excessive certainty on these). These will get fixed, of course, just as Google fixed identical issues - it's just a question of when. Meanwhile, almost completely ignored at the moment are the 3D 'Flyover Maps' - which are sometimes quite astonishing. Personally I've found it far more useful than Google's Streetview, which after all only really shows you what your destination looks like, not how to get there. When this fuss started to blow up, my immediate reaction was that this was another 'antennae-gate' - a major fuss that turned out to be largely artificial. Actually it's a little more serious - it's more like the fuss around the absence of Flash, which was also a real issue, until it stopped being a real issue. One of the underlying dynamics is similar, though: Apple deciding that it needs control over a key part of the experience. In this there's a certain irony: Apple wanted to own the maps experience instead of relying on partners, but is suffering at the hands of imperfect data and imperfect integration of data from... partners. Why hasn't Yelp worked outside the USA? This chart shows the total reviews created for the top 25 venues in each category in London and in New York. It’s a pretty clear picture: people in NYC use Yelp and people in London, by and large, do not. I’ve combined Yelp and the European rival Qype and even so the gap is huge. There’s a similar picture if you look at other European cities. And if you look on the forums for Yelp UK, a substantial part of the traffic is clearly from American expats. I should point out that this isn’t a coverage gap - there are lots of places reviewed - but an engagement gap - places just have far fewer reviews. Yelp launched in the UK back in 2009 and smartphone penetration in the UK is not substantially below the USA. So what is it? ‘Cultural’ is easy, but a cop out. Certainly, people in US cities do eat out more, but is that enough? Has Yelp just not pushed hard enough? Or maybe Americans are just keener to share their opinions (cf Zagat).